The company claims to have made the world’s first 1,000 Wh/kg rechargeable battery. (Watt-hours per kilogram is a unit of measurement commonly used to describe the density of energy in batteries.) By comparison, the batteries that Tesla uses in its Model 3 — the so-called 2170 cells — are an estimated 250 Wh/kg; the company plans to eventually push that to 330 Wh/kg. 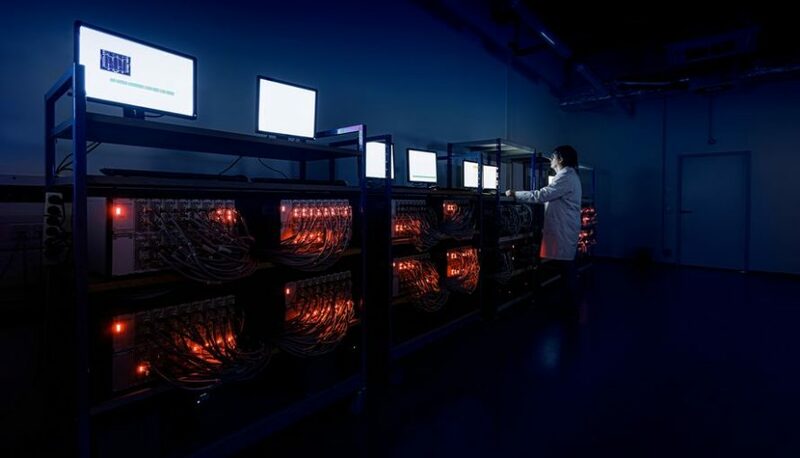 Meanwhile, the US Department of Energy is funding a program to create 500 Wh/kg battery cells. If Innolith’s claims turn out to be true, its high-density battery may have just leap-frogged over those targets. A battery with that density would be capable of powering an electric car for 1,000 kilometres (621 miles) on a single charge. That’s far greater than the current lithium-ion batteries on the market today. Tesla’s batteries, which are produced by Panasonic, can support 330 miles of range in the most expensive models. Most major automakers are aiming for a similar range in their electric vehicles. Others, like electric car manufacturer Henrik Fisker, are pinning their hopes on solid-state battery technology, which they claim can achieve up to 500 miles of range. Most current electric cars are powered by “wet” lithium-ion batteries, which use liquid electrolytes to move energy around. Solid-state batteries have cells that are made of solid and “dry” conductive material, but that technology is still stuck in the lab and hasn’t made it to production. Innolith still uses “wet” liquid electrolytes in its lithium-ion batteries, but there’s one major difference: the company replaces the organic (and highly flammable) solvent containing the electrolytes with an inorganic substance that’s more stable and less flammable. The organic materials found in most lithium-ion batteries are the “principle source of side reactions,” which, over time, can consume the active materials in the battery and turn the whole closed-loop system into something “non-productive,” he adds. Innolith claims its new battery has done away with this problem. 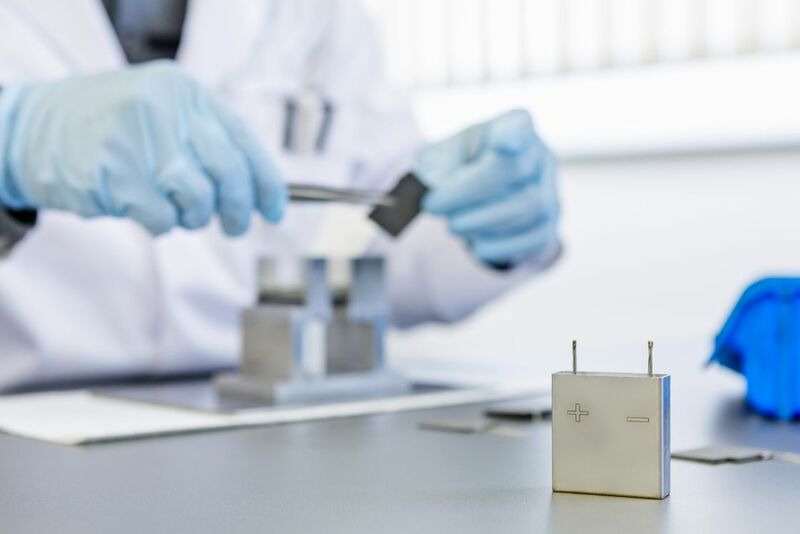 Innolith says it will bring its innovative new battery to market via an initial pilot production in Germany, followed by licensing partnerships with major battery and automotive companies. (Greenshields cited India as one country that could be interested in Innolith’s technology.) Development and commercialization will likely take three to five years, which means the company’s battery won’t be ready to go to market until 2022 at the earliest. A lot can happen between now and then, as Greenshields and Innolith’s CEO Sergey Buchin are well-aware. Previously, the two men were the chief technology officer and chief operating officer, respectively, of Swiss-battery maker Alevo. That company filed for bankruptcy in 2017 after betting big on manufacturing capacity in Charlotte, North Carolina. Even an investment from a Russian billionaire linked to President Trump couldn’t ultimately save the company. After filing Chapter 11, Greenshields and Buchin arranged the purchase of Alevo’s intellectual property and established a headquarters in Basel, Switzerland. They also bought its research and development facility in Bruchsal, Germany, where they intend to launch their pilot production. The company isn’t completely theoretical. It’s licensed its battery technology to PJM Grid, which, according to its website, “coordinates the movement of wholesale electricity in all or parts of Delaware, Illinois, Indiana, Kentucky, Maryland, Michigan, New Jersey, North Carolina, Ohio, Pennsylvania, Tennessee, Virginia, West Virginia and the District of Columbia.” PJM has been testing an Innolith “GridBank” battery at scale in Hagerstown, Maryland. “That’s the first time ever that a rechargeable lithium battery using inorganic electrolytes has been commercially deployed,” Greenshields said. That will hopefully help bolster Innolith’s reputation as it gears up to put its high-energy, high-density battery into production. There have been claims of major breakthroughs in battery technology in the past, but there’s little to show for it. The company’s leaders are aware that they will need to independently verify their claims before anyone lines up to buy their products.